MONTCLAIR, NJ – Tapping into the growing appeal of downtown Montclair and the increasing desire to live in an urban-inspired and walkable environment, Richard Polton is set to launch The Montclarion at Bay Street Station, a new luxury rental building steps from NJ Transit’s Bay Street Station. The new five-story LEED certified building features 40 upscale one- and two-bedroom rental residences, including only seven exclusive top-floor Penthouse apartments with expansive outdoor terraces. Leasing is expected to begin in early March, with monthly rents starting from $2,250 for one-bedroom homes and $2,650 for two-bedroom residences. The apartments will offer immediate occupancy. Value Assent Management, Inc., a full-service division of the Clifton, N.J.-based Value Companies, Inc., will serve as the exclusive leasing and management agent for The Montclarion at Bay Street Station. Ideally located at 125 Bloomfield Avenue, the building’s ultra-convenient location will encourage pedestrian activity. Within walking distance are the Montclair Center and the redeveloping Lackawanna Plaza. There’s also easy access to nearby shops, including a Panera, a Smash Burger, PNC Bank and a 7-11. 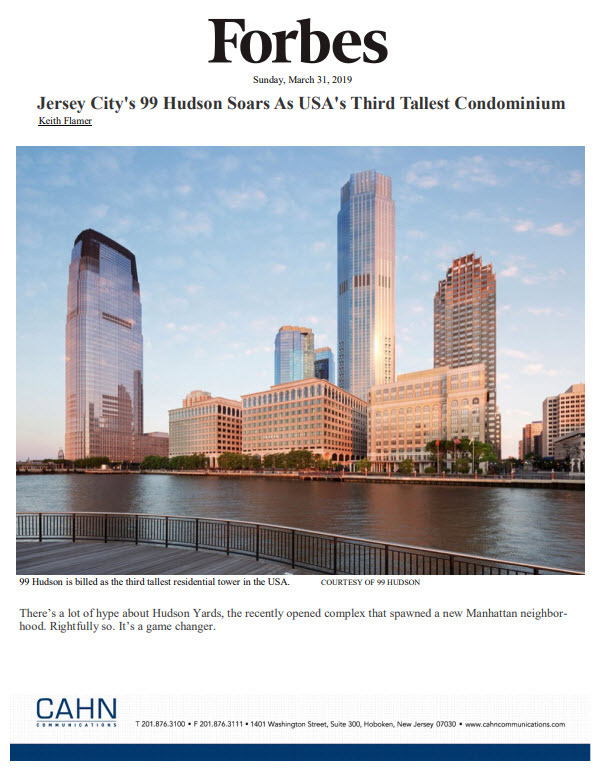 The property is situated steps away from the Bay Street New Jersey Transit Station connecting to Secaucus Junction, Newark, Hoboken and Penn Station in New York City. There’s also New Jersey Transit Busses available right outside the complex. Designed by Sionas Architecture, The Montclarion at Bay Street Station’s brick and glass exterior blends perfectly with Montclair’s well-known chic and urban environment. Contemporary, high-end design is extended throughout the boutique building’s interior spaces with a dramatic two-story lobby, bike racks, rooftop patio, exercise room and business center/lounge. There will also be 1,200 square-feet of ground floor retail space expected to house everyday conveniences and services. Renters will have access to an enclosed two-story garage. The Montclarion at Bay Street Station follows in the footsteps of The Montclarion, a 56-unit rental building originally built in 1985 and recently upgraded.